Words. They are a fascinating concept. We jumble together sounds and symbols to communicate and connect with people. Lyrics, poetry, epigrams, puns – heck, even formal academic writing is, to me, one of the most awesome things in the world. Language attempts to grasp concepts within the human experience that are extremely abstract and sometimes even extremely simple. And I believe that words often fail to achieve what they were meant to do. The point is missed, the grand scheme of things is forgotten or details are skewed. People are flawed and so is our communication. But sometimes we can connect to what someone is saying in such a way that something really clicks. Maybe a shared experience is communicated that we can identify and we feel less alone in our endeavors. Or someone shares a joke or a says something clever that really clicks with our worldview. These little moments can be scarce but when it happens it feels good. I know that feeling. Recently I read Oscar Wilde’s “The Picture of Dorian Gray” and for the entire time I spent reading that novel, I was experiencing this connection that I can hardly explain. It made me joyful and perhaps this is super, super nerdy of me to explain but there was a very unique sense of connectedness in that moment. Not everyone is going to have that feeling. Everyone is different and that is one reason communication is such a complicated practice. But if someone can write something or convey something in a way that can impact even just a single person, then they have done something wonderful and awesome. Words are really amazing. 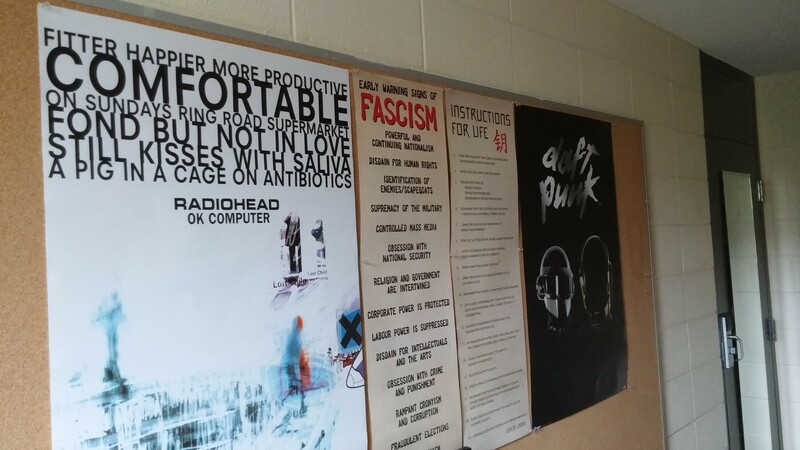 My wall in my dorm is decorated with posters full of type that I chose that I believe best describe some of my passions. 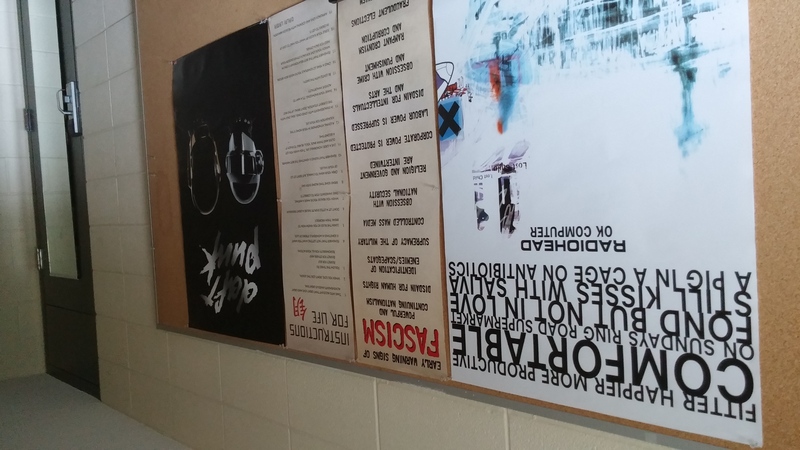 I have an OK Computer poster that lists some lyrics from their song “Fitter, Happier” – one of my favourite songs and albums. I have a poster that lists the early warning signs of Fascism because it portrays my investment in social issues and my love for history. I have a poster of advice from my biggest role model – the Dalai Lama. Finally I have my Daft Punk poster which reminds me that sometimes words really, REALLY need to be repeated (I mean has anyone counted how many times they repeat the chorus of the aptly named song “Around the World”? It’s a lot). Now that I’ve successfully ranted about how cool words are…here’s my point. With my blogs in the past month or so, I’ve attempted to convey what it felt like to move hundreds of kilometers away from everything I’ve ever known into a whole new world. 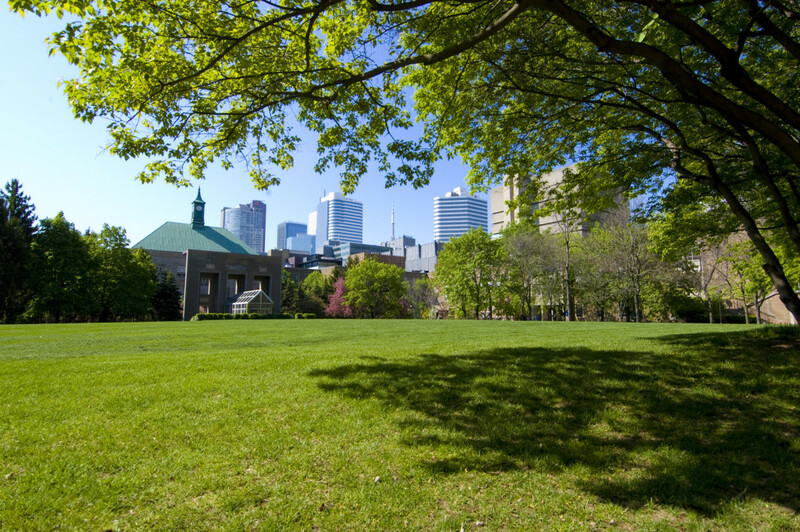 The #RoadToRyerson blog posts have been my attempt to use words to connect with people in a very unique way and I truly believe I was blessed to have this opportunity. Also, All I hope for is for my writings to have impacted someone – literally even if it was just one person – in any way (preferably positively). That is why I wanted to do this – that and share my excitement in coming to Ryerson. The place is seriously rad. And as this is my final blog (for now), I wanted to take a moment to thank everyone involved in making this possible. Thanks to LG for allowing me to capture in crisp quality some awesome photographs so I can properly document my journey. It was an overwhelmingly positive experience and having met the people behind RU Student Life and the creative team, I can certainly say that there are some fantastic people working to enhance and better each and every student that comes to Ryerson. They have your back – remember that. Finally I want to end my #RoadToRyerson by just going over some of my most recent experiences. I write honestly and sincerely and this is my final attempt to really capture this moment which is to be quite fair, really freaking scary and difficult. I have been tested and strained mentally and emotionally in many ways in the past three weeks and it has not been easy, and not always fun. To be totally frank, for a while I was in a very unhappy place. Most people that know me might not even have noticed, but I have been really hurting inside. I don’t mean to get too emotional or harsh but my intentions with my blogs have always been to share a bit about myself with people. And that bit isn’t always sunshine and good grades. My world is a totally different place than I thought I knew and I haven’t really caught up with it yet – and I haven’t really caught up with my readings either. The transition is tough. There are bad habits that I need to crush and things I need to experience so I can be the best I can be. Coming to terms with that can hurt. It is really easy to beat yourself up and lose that positive mindset. Luckily for me, and luckily for all the students here at Ryerson – we have people that care and work hard to make sure we can succeed. We aren’t babied like we were in high school but there are people out there that can and want to help, be it friends, family or the staff at Ryerson. Words are amazing and terrifying things. They can work wonders and one of those wonders is letting people know that you could use some help. Don’t be afraid to do so. The people I have reached out to have made a tremendous effort to help and have indeed been instrumental in changing my outlook. So, I guess in summary…the #RoadToRyerson has been quite the roller coaster. And it really has only just begun. I am not going anywhere and actually, for anyone following this blog, you can (hopefully) look forward to reading and hearing more from me through a variety of blogs I will be writing for the amazing RU Student Life team. Another big thanks and farewell for now. If like my blogs, please feel free to follow me on any of my social media, where I post sometimes about hip stuff like music, TV and probably a lot about my schoolwork.